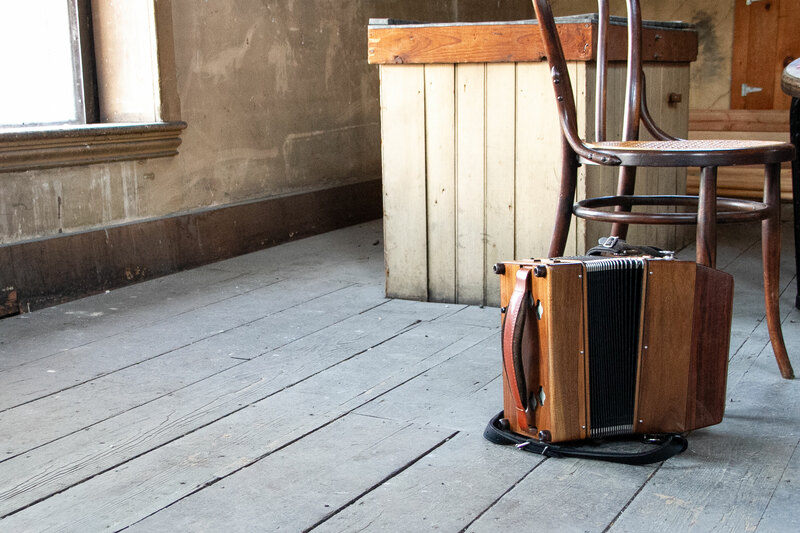 One of the foremost exponents of the Concertina and Button Accordion in the Irish style, Christian “Junior” Stevens has spent two decades surrounded by the thriving Irish music community in America. He has studied with the legendary Noel Hill, and received a performance degree in Piano from the University of Massachusetts. In 2017, he was named a Master musician by the Maine Arts Commission, receiving an Artist Fellowship. He is a talented performer with a unique style, and has been featured on many recordings and stages from local dance halls to the Library of Congress. Also a highly regarded educator, he taught for many years as part of the faculty at the Hanafin-Cooley CCÉ Music School in Boston. He has been invited to some of the country’s prominent music camps and currently instructs a large body of private students.